When buying attic insulation, Jonesboro homeowners need to remember that ensuring their homes are as energy efficient as possible means more than just having the right type of insulation. It also requires that the insulation they purchase is installed correctly. With Arango Insulation, you can be confident that your attic insulation will be installed by a team of true industry professionals who have been extensively trained and can get the job done the right way. The team of experts at Arango are highly experienced in installing all types of attic insulation throughout Jonesboro. No matter what type of insulation you need for your home, you can count on it being installed quickly and having it backed by our unbeatable, 1-year service warranty – and that’s in addition to the manufacturers’ warranties that you will also receive. 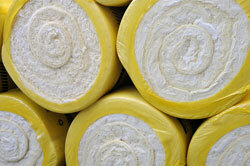 When you let us insulate your home, you can also count on receiving superior customer service. It’s this dedication to striving to be the best that has helped us earn the 2010 Consumers’ Choice Award. Contact us today for more information and a quote for attic insulation for your Jonesboro home.